Osteopathy was developed in the late 19th century in America. It's founder Andrew Taylor Still was an courageous man, fighting for the abolition of slavery in the American civil war and his courage was tested to the full as a series of personal tragedies led to a realisation of health and recovery that was radically different from the medicine practiced at the time. The body is constantly striving towards its optimum health. It's the Osteopaths job to support this. The body functions as a integrated whole. Anything that happens to one part has the potential to influence all other parts. If the cells and tissues that make up the body have a good blood supply and drainage they have the capacity to self repair. Structure (anatomy) is intimately related to function (physiology) and if the body is in good mechanical order then optimum physiological health will follow. Early Osteopaths treated people suffering with a huge range of conditions including dysentery, pneumonia and various types of arthritis with reported success. Today Osteopaths are well known for their treatment of back pain and musculoskeletal problems. The scope of Osteopathic care, I believe, is largely untapped. Osteopathy is very much a manual skill. Osteopaths are trained to palpate (touch) the body and translate the way in which joints and tissues move (and their quality of movement) into a diagnosis. This is based on a thorough understanding of anatomy and physiology. Having made a diagnosis the Osteopath may then treat using their hands to apply the principles outlined above. This makes every treatment very particular and personal to the individual receiving it. 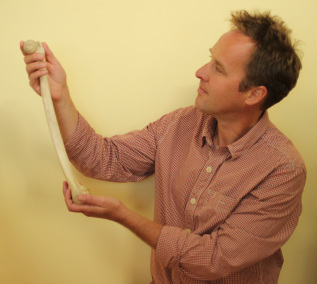 I am happy to speak to you in person if you wish to talk about whether Osteopathy might be helpful for you.